Strawberries are now in season and the taste, colour and the flavour of the strawberries are just amazing in any dessert. 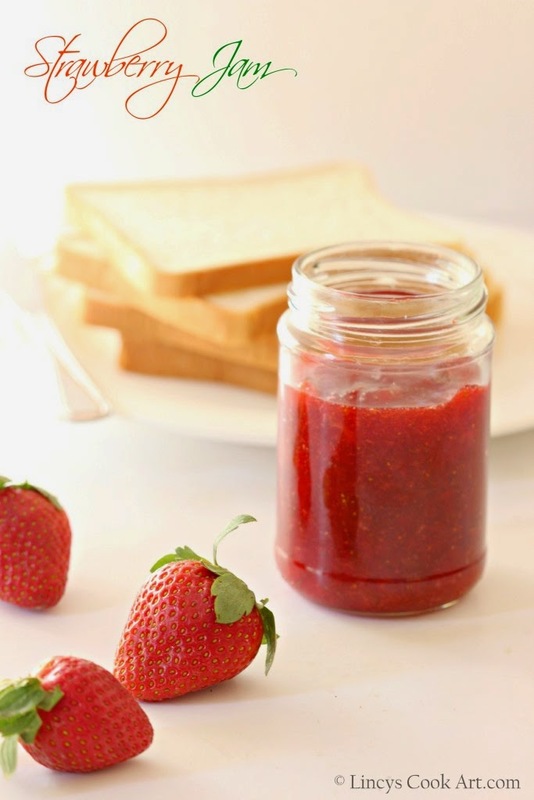 I bought some strawberries to make this easy pectin free version of strawberry jam. After making this jam i can able to feel the freshness of the jam. With toast it tastes really Yum. We could not get the the bright colour, rich taste of strawberries and the freshness of the jam in any store bought jams. I bet you are going to love this jam to the core. This jam simply applied over a bread tastes divine like a dessert. So easy to prepare jam in minutes. Finger Licking Good Jam!!! Select deep red coloured fully ripen strawberries for making jam. Remove the stem and also the leaves of strawberries. 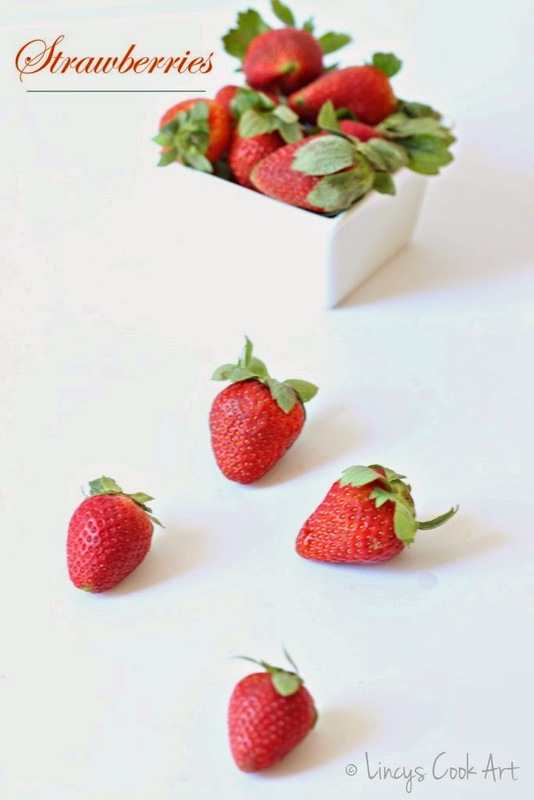 Take a bowl full of water and dip the strawberries to remove the clay particles. Drain the water and wipe the berries and cut them into smaller pieces about 6 pieces. Keep the strawberries on a pan on which you are going to make jam. Add the sugar on top of the strawberries. Switch on the gas and keep stirring till the sugar get melted on medium flame. Reduce the flame to low and cook the strawberries on the syrup further till the strawberries cook till soft. Mash them with the back side of the laddle while cooking. 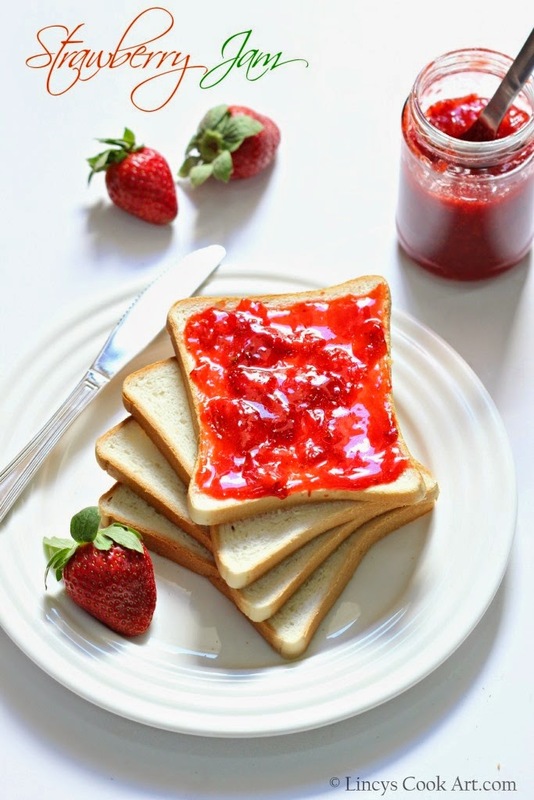 The strawberry pulp makes the jam to get thicker and gives the colour and also gives proper texture to the jam. Within minutes the jam thickens and get the colour and proper glossy spreadable consistency. Add the lemon juice and cook for a minute and switch off the flame and allow the jam to cool. Transfer the jam on to a sterile air tight bottle and refrigerate. Use within two weeks. Notes: If you jam turns too thick add some water and boil again till you get the spreadable consistency. Right consistency is important otherwise the jam run off from the bread or could not able to spread. If you get small strawberries reduce the quantity of sugar added to 1/2 a cup and proceed with the recipe. Take two bread slices and apply butter at one side and the other side with strawberry jam. Sandwich both the slices and cut diagonally and serve. 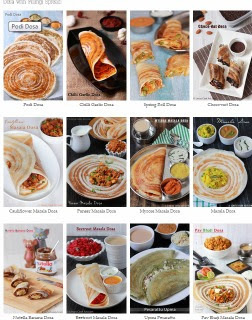 Best sandwich which can be made for kids snack box.